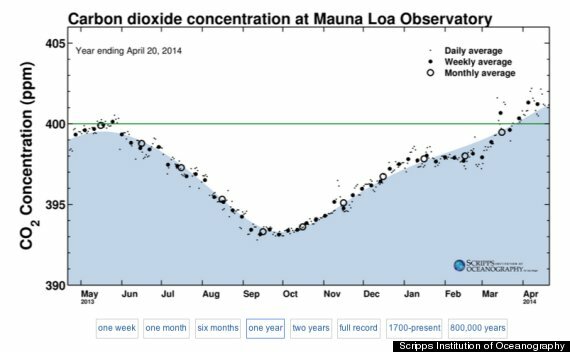 The concentration of carbon dioxide in the atmosphere hit 400 parts per million for the first time in May, 2013. Now, it has been consistently over that number for the last month, which is higher than it’s been in millions of years. “…crossing that threshold makes it impossible to ignore that something serious is happening.” Read the article by Kate Sheppard. Oh, and Happy Earth Day!